While the beautiful girl was proudly marching in her scarlet outfit, someone stepped on the long train of her costume. And as a result, Rybakova remained literally in negligee. A man passing by, who picked up Yulia's skirt and quickly put it on her, saved the day. The video of the embarrassment of the model was published on the Internet - only on Rybakova's Instagram it was viewed more than 200 thousand times. A few days after her failed debut in Cannes, western tabloids, including the British Daily Mail wrote about Yulia. They have kindly reacted to the failure that happened to the Russian girl, giving credit to the magnificent curves of the mannequin and calling her "the real Russian beauty." Someone stepped on the train of the model's dress, and Yulia remained without a skirt. "Many people have already seen this video, although I was hoping it would not work," the model wrote on her Instagram. - I'm basically in my usual form. This could only happen to me! Could anything have been worse? After my suitcase was lost with all the things ... Natalia Rasskazova sewed two dresses less than a day ago ... And I, like a girl who never wore a train, kept telling the whole way in the car: did not it come off, how will I go with it there?". Many, however, believe that Yulia's skirt came off not by accident. And that the man who stepped on her train was an accomplice of the girl who helped her draw attention of thousands of spectators. 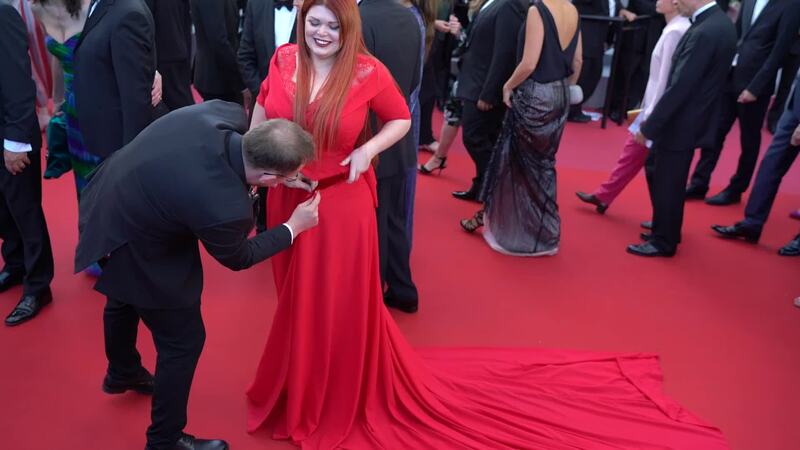 Yulia tried in Cannes to attract attention - and she did it as well as another shocking Russian woman Lena Lenina. Yulia Rybakova supports the ideals of the body-positivity movement: "What stereotypes? Who said that weight should be standard? Who said that I can not feel happy if I'm overweight? ".